Ships from and sold by Dream Sales 130. Cookies, cookies and more cookies. 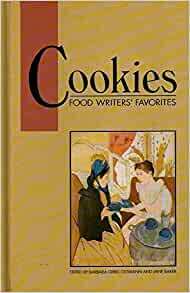 When food editors and writers across the country were requested to contribute cookie recipes for this cookbook, the response was overwhelming. More than 500 recipes flooded the publisher's office in a short period of time. It seems that everyone likes to prepare cookies. They have become all-American favorites. Each of the recipes in this cookbook also includes a brief introduction that tells you something about the recipe. Cookies make for enjoyable reading even when you are not in the mood to bake a batch. My daughter was given this book when she was 16. I wanted to give it to my 3 neices and didn't hold out hope in finding it since it has been over 16 years since we received it. Lo and behold there it was. My neices are now enjoying learning the art of cookie making. I had this but lost it. I love all the different types of cookies. There is something for everyone. I owned this once & list it somehow so I was thrilled to find it available. It's a great cookie book. This is the best cookie book! But mine is lost - with all my notes....so I was thrilled to find a new one. I will miss my notes, but I'll have to start all over again making more notes. And when I find mine - which I will eventually - I'll pass it down to my daughters. Be sure to try the waffle iron brownies and the tea cookies. They are the best ever!